The embedded parts ensure the proper functioning of the valves during the opening and closing operations. 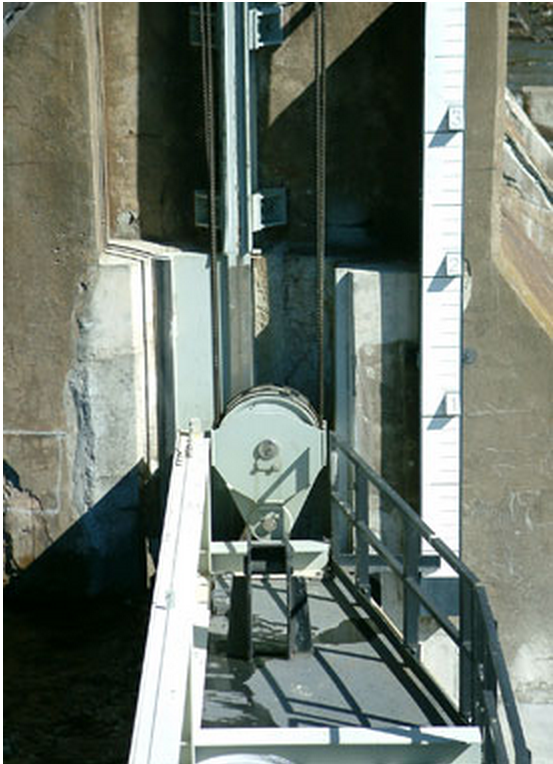 Corrosion of Steel and AAR (Alkali-Aggregate Reaction) present on certain concrete dams accelerate the deterioration of embedded parts making the operation of valves difficult. Important overloads on the lifting mechanism can occur if valve jamming occurs. Defects (dents, cavities) on the embedded parts can cause significant overloads to the wheels, which could break them. During the years, we have developed a number of embedded part rehabilitation solutions, customized according to the need and to the design of the existing part. In many cases, the rehabilitation of the embedded parts is much less expensive than new parts.